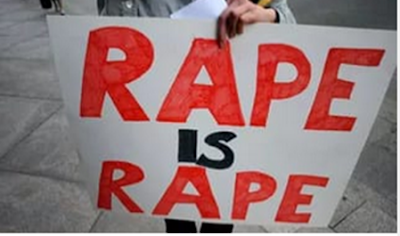 A 12 year old girl is currently recuperating at Thika level five hospital after her father raped her on 1st 2016. The 12 year old was busy going about her household chores which we she was delegated by her mother who was away together with her siblings. Their father came and instructed the others to go to the nearby stream and wash their clothes there and take a bathe. This was in a bid to be left alone with her target daughter. The father called his daughter to the house and raped her. He later warned her from telling anyone. The daughter did not hesitate from disclosing what happened and she reported the matter to a nearby police station upon which she was taken to the hospital. According to the mother, this is not the first time the husband is rasping his girls. She said that another of her daughters now stays with a relative after she was raped by her father on 2014.